Digital travel sales in Asia-Pacific are expected to surpass those in North America in 2017, making it the largest market of its type in the world, with China leading the way. So it is no surprise that this market has recognised it is essential to deliver the freshest data possible to the consumer. With travellers expecting more convenience, communication and choice than ever, the importance of urgent, accurate dynamic information in China's digital travel market is greater than ever. Nowhere is this more apparent than with schedules and flight status data. In fact, the OAG schedules database updated more than 3.5 million schedules in a single month in summer 2016 and for flight status, there were even more. 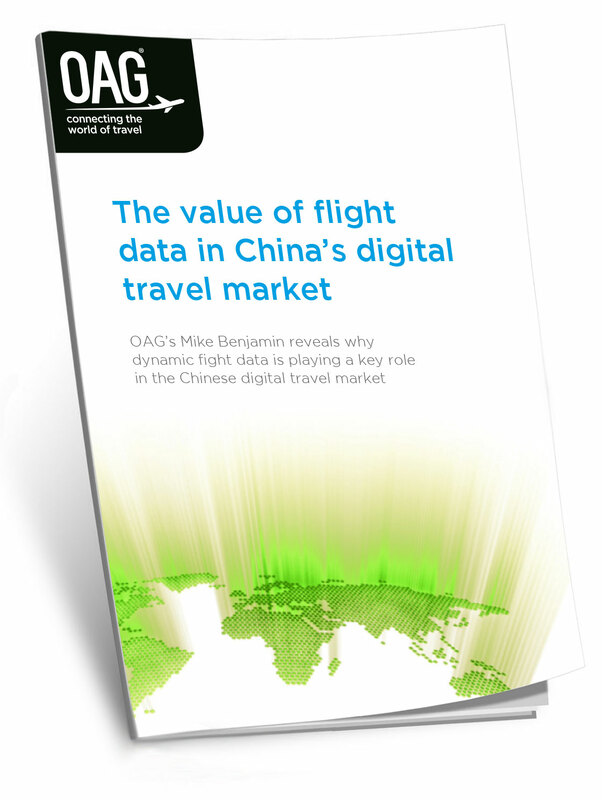 OAG’s latest whitepaper takes a look at why dynamic flight data is playing such a key role in the Chinese digital travel market, with key players such as Altrip and lY.com embracing dynamic flight data feeds for schedules and flight status.